UCLA professor of economics Rosa Matzkin is among 213 individuals from a wide range of disciplines and professions to be elected as members of the American Academy of Arts and Sciences in 2018. Matzkin is the Charles E. Davidson Professor of Economics. 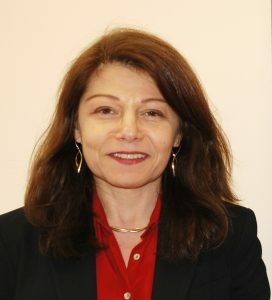 Her research has been aimed at creating a tight connection between econometrics and economic theory. Econometrics is a field that harnesses mathematics and statistical methods to quantify economic phenomena into empirical data, turning theoretical models into useful tools for economic policymaking. Her methods can be used to test whether data is consistent with any particular model, to estimate unobservable functions and distributions, and to predict behavior and economic outcomes when economic structures change. Her work has been published in Econometrica, Journal of the American Statistical Association, Journal of Economic Theory and Journal of Econometrics, among others. Before joining UCLA, Matzkin held positions at Northwestern and Yale. The new class will be inducted at a ceremony in October 2018 in Cambridge, Massachusetts at which the newly elected members will sign the Book of Members, and their signatures will be added to the academy members who came before them, including Benjamin Franklin (1781) and Alexander Hamilton (elected 1791) in the 18th century; Ralph Waldo Emerson, (1864), Maria Mitchell (1848), and Charles Darwin (1874) in the 19th; and Albert Einstein (1924), Robert Frost (1931), Margaret Mead (1948), Milton Friedman (1959) and Martin Luther King Jr. (1966) in the 20th.